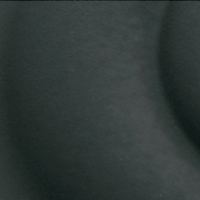 Love That Door understands that it’s all about the details. 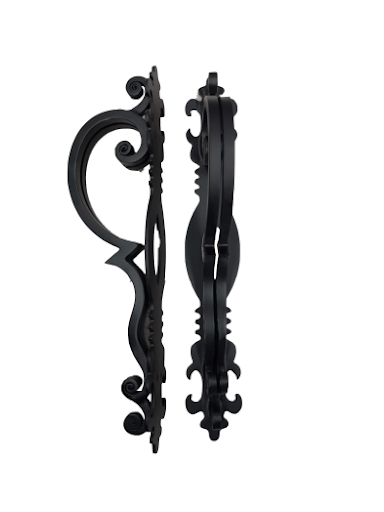 Details include your unique design, paint finish, glass and decorative iron pull handles. 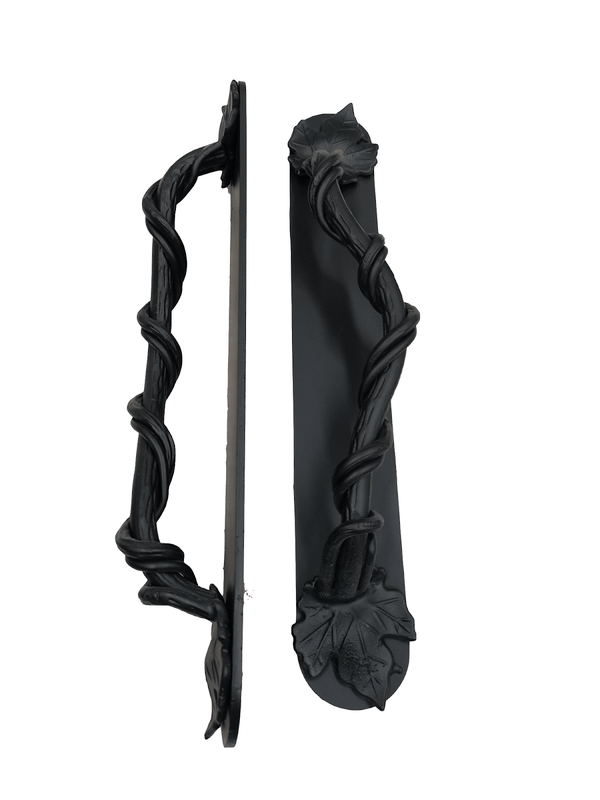 Accessories are like selecting the right jewelry to complement a nice dress. 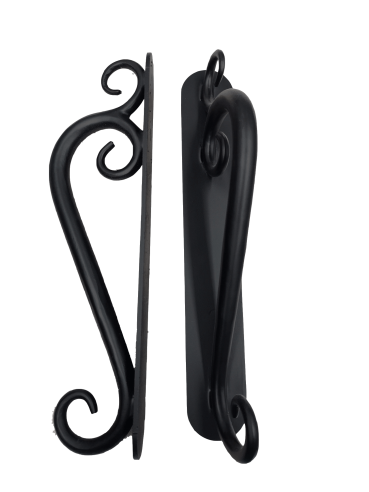 In other words, selecting the accessories to complete your new iron door will add to the overall wow-factor of your design! 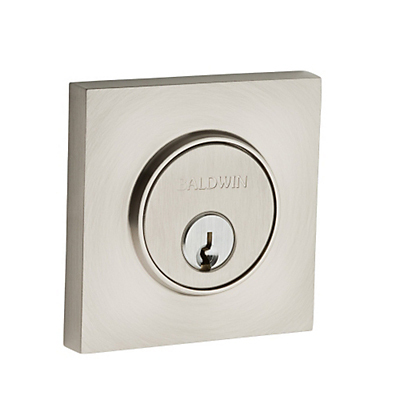 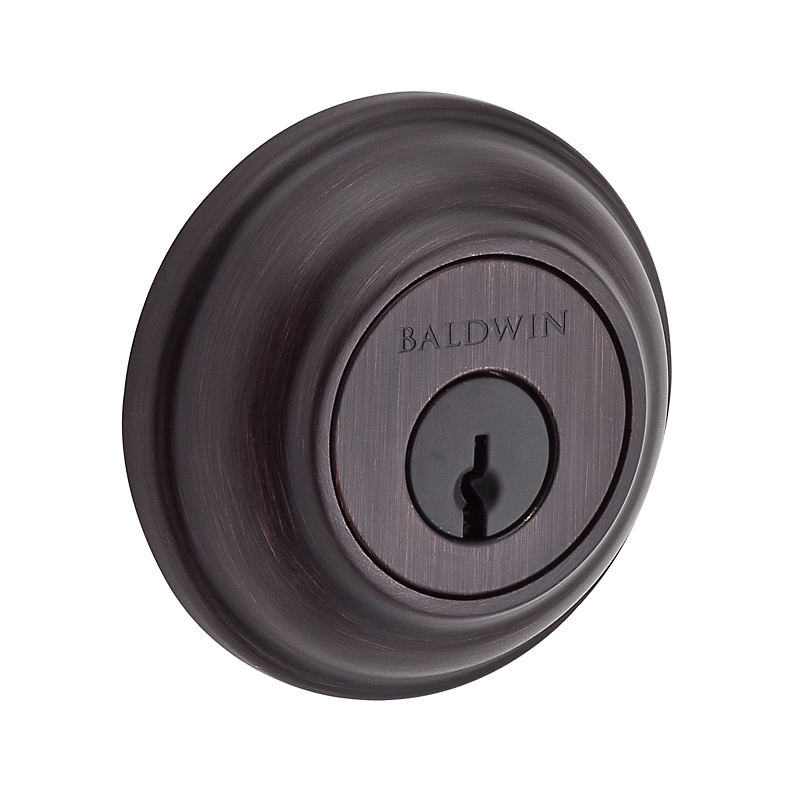 offers the highest quality locks available. 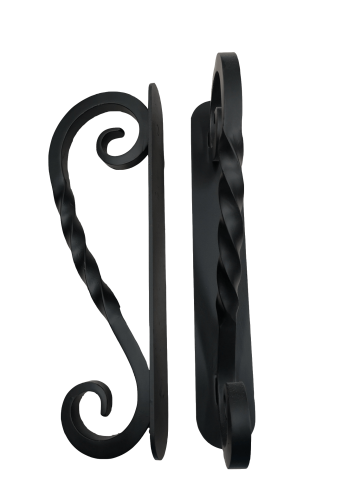 Solid forged brass construction. 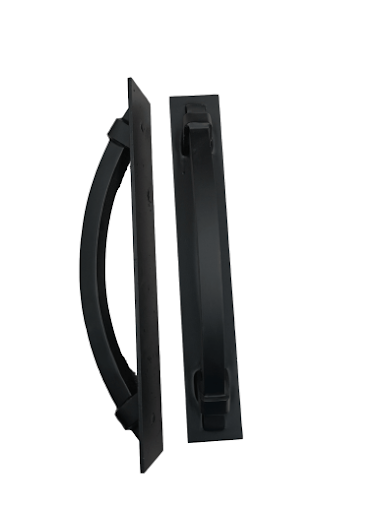 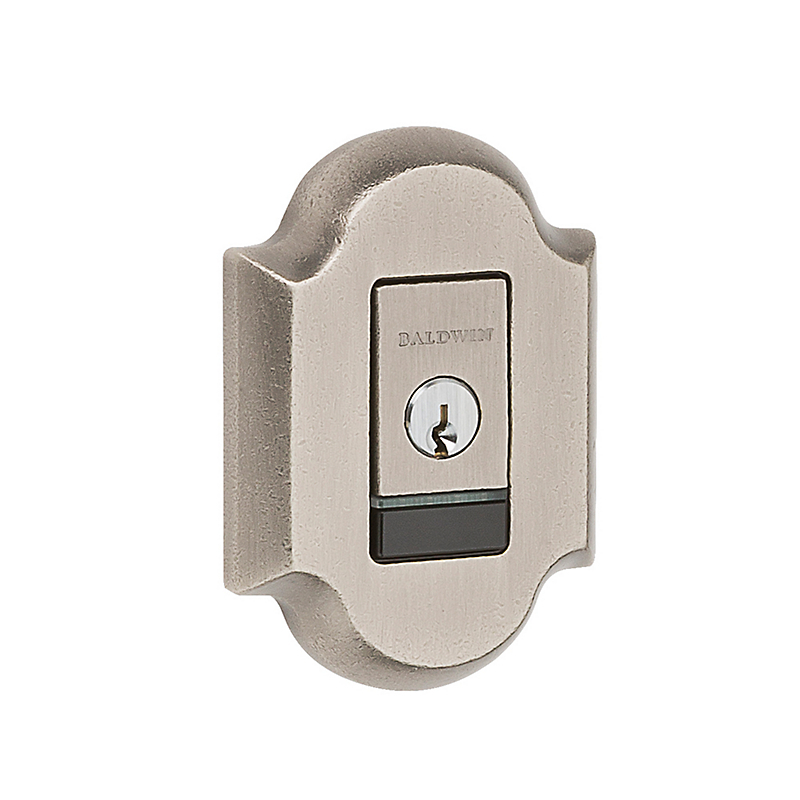 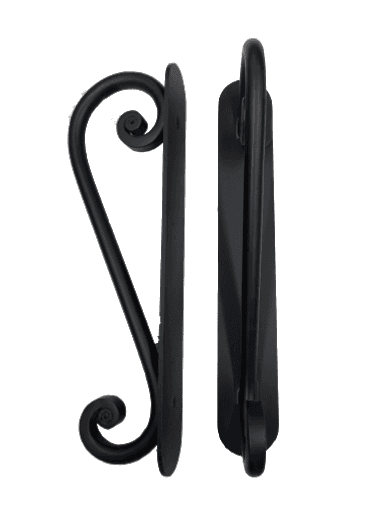 Features 1" solid brass throw bolt latch with hardened steel roll pin for additional strength and security. 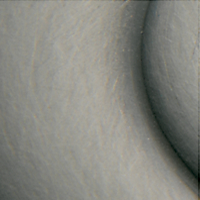 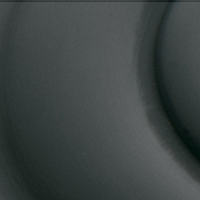 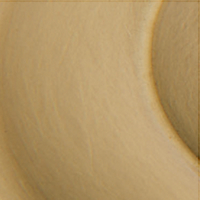 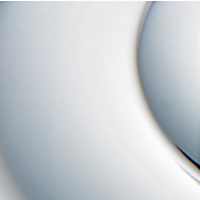 Features low profile cylinder projection. 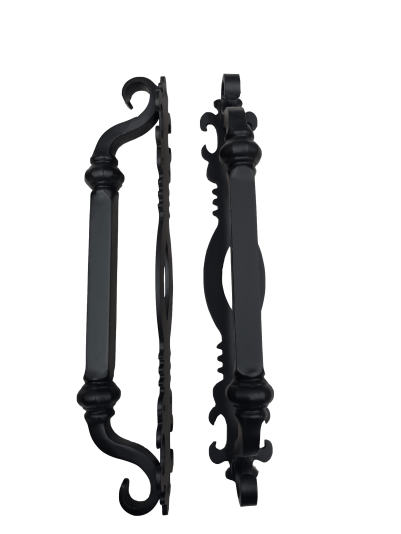 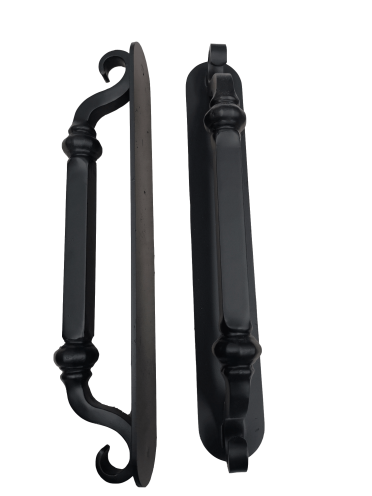 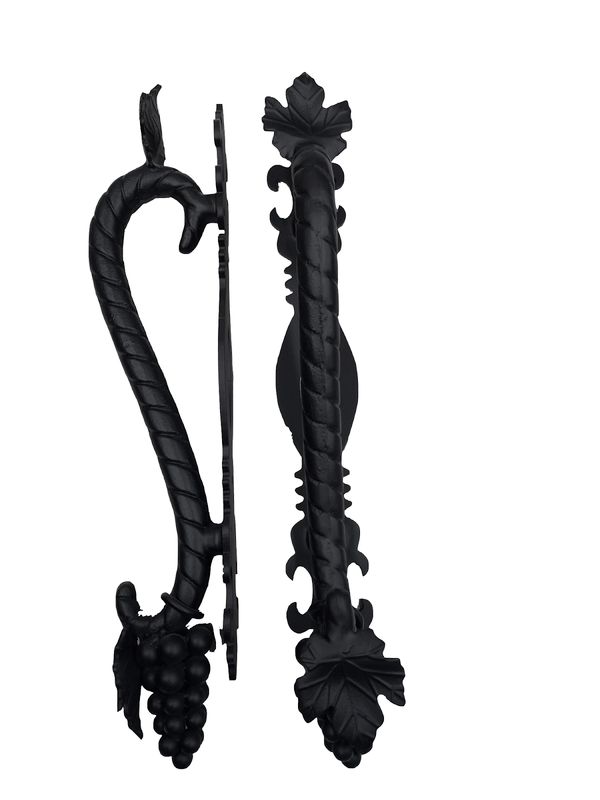 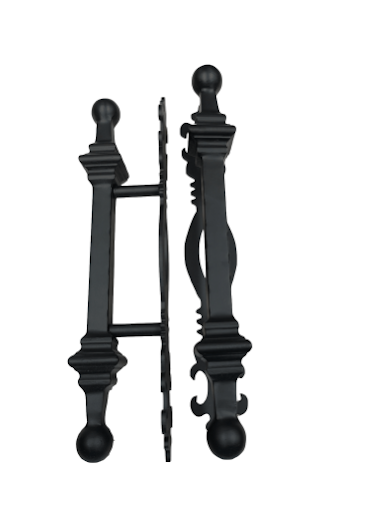 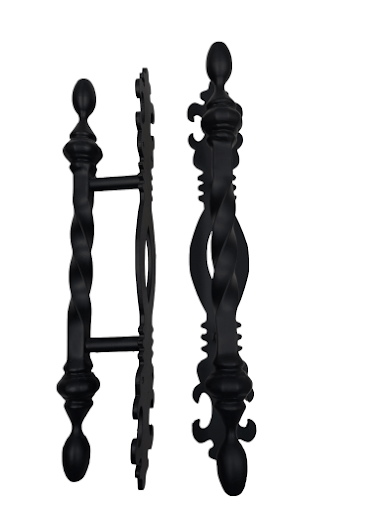 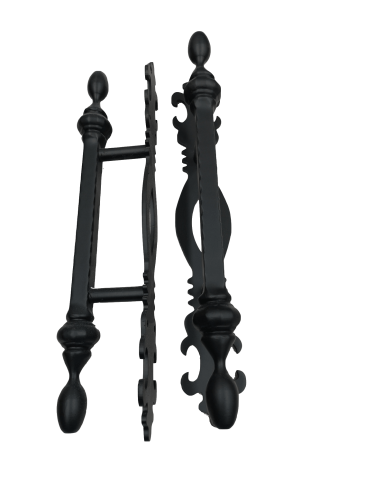 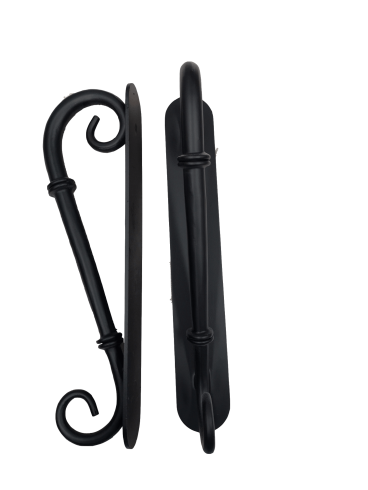 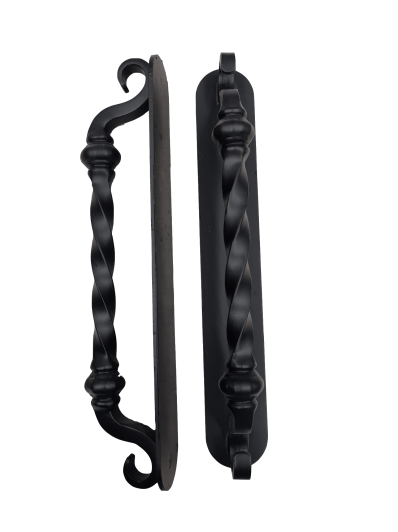 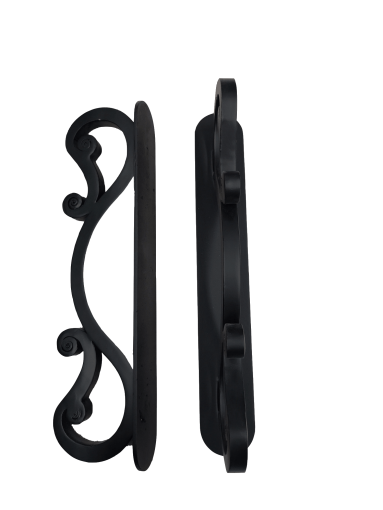 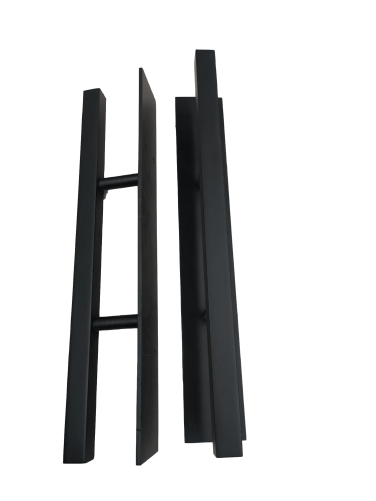 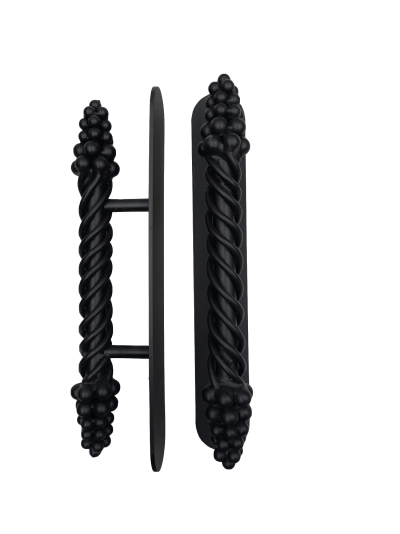 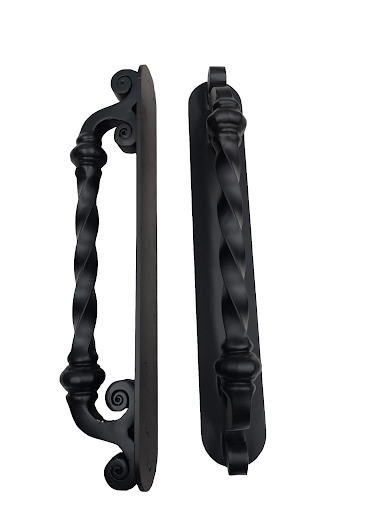 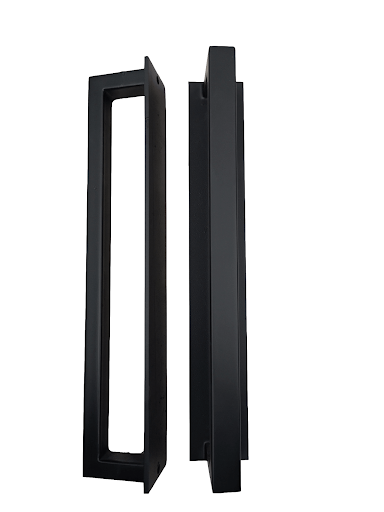 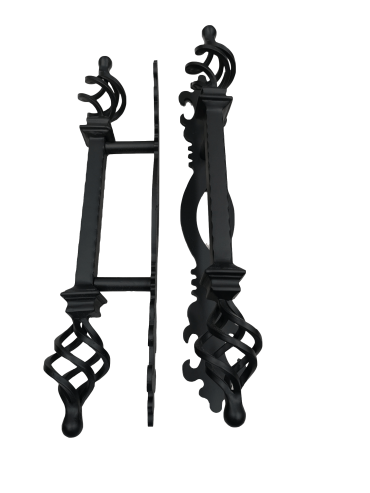 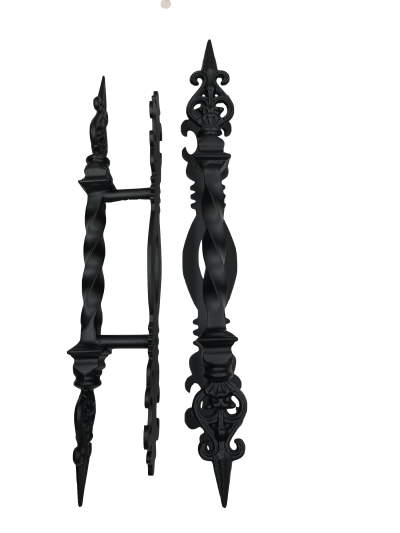 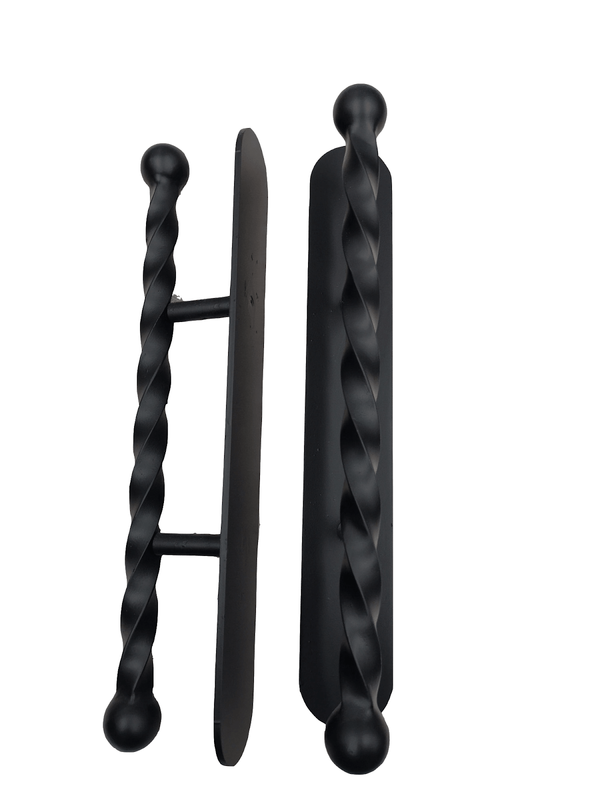 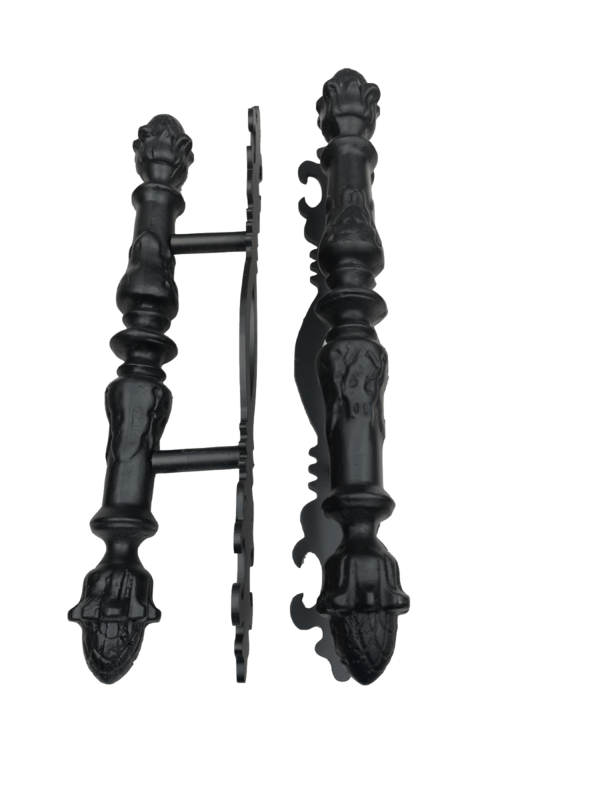 Our Wrought Iron Door Pulls are one of a kind custom hand crafted works of art. 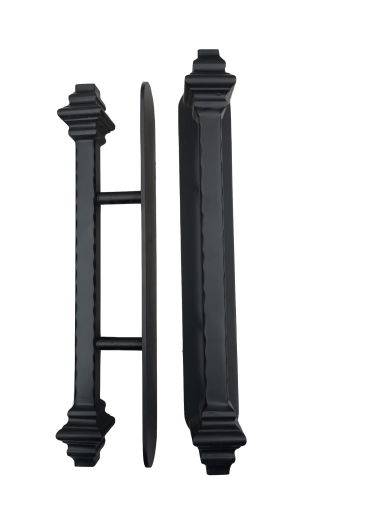 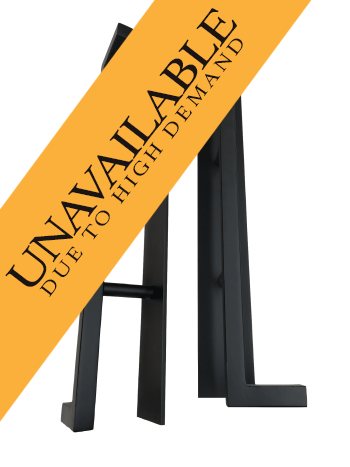 Our pulls measure 18″ in length for lasting first impressions.